The government is heading downhill in the Kresna Gorge with an EU funded motorway project. The European Commission watches the tragedy unfold and overlooks persisting procedural and legal flaws. The Kresna gorge in Bulgaria, a biodiversity haven and protected Natura2000 site, would be severely damaged by the Struma motorway. This week, on 16 October, the two Bulgarian non-governmental coalitions “For The Nature” and “Save the Kresna Gorge” warned that the fate of the EU protected Kresna gorge depends on the Minister of Environment and Waters Neno Dimov not approving an inadequate assessment of the Struma Motorway project. If Dimov signs the decision on the Environmental Impact Assessment and the Appropriate Assessment for Natura 2000 (EIA/AA), approved by the Supreme Environmental Expert Council on 12 October, and thus confirms the so-called semi-Eastern G10.5 variant, it will be a serious violation of Bulgarian and European nature protection legislation. At the same time these violations, elaborated below and communicated to the EC on a number of occasions, appear to be lost on the European Commission. On 17 October the Commission disclosed a flash briefing from a 25 September meeting between the Commissioners for Regional Policy Corina Cretu and for the Environment, Maritime Affairs and Fisheries Karmenu Vella and Bulgarian Ministers of Transport, Regional Development, Environment and Tourism. The briefing demonstrates that the Commissioners were not briefed about the complaint submitted by environmental groups in July this year. The meeting notes expose the Commissioners’ shocking lack of understanding of the legal and procedural uncertainties that surround the biggest EU funds investment in the transport sector. The problem is that the G10.5 alternative promoted currently by the Bulgarian government does exactly this, abandoning the tunnel option, as it involves routing one direction of the highway on the existing local road through the Kresna Gorge and the other direction on a new route to the east of the gorge. Therefore Bulgaria and Bulgarian taxpayers will suffer serious damage, if an approval of this option goes ahead in breach of nature protection obligations and above mentioned legally binding decisions to avoid the gorge at all costs. 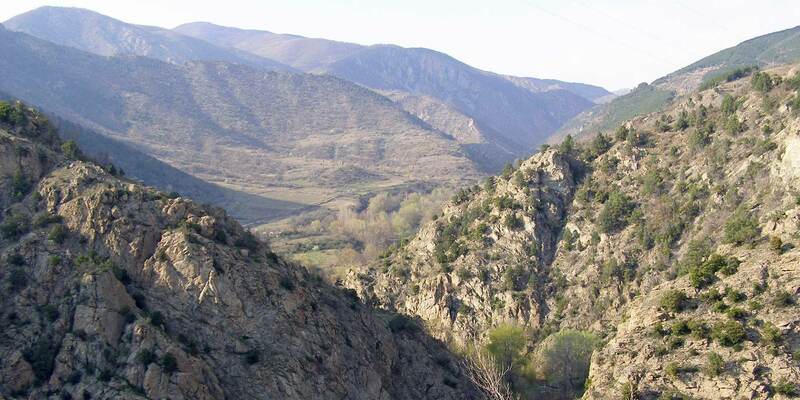 The EIA decision of 2008 for the construction of the Struma highway is in still force which requires the highway to be built only outside the Kresna Gorge – either by a tunnel or by a full eastern alternative with both directions east of the gorge. A new EIA decision cannot contradict the earlier ruling in which an alternative along the current road has been rejected as an unacceptable option due to the European ecological network Natura 2000, as mitigation measures to reduce the impacts are considered impossible. The Government has made a preliminary decision on the construction of the semi-Eastern G10.5 alternative and has announced it publicly on a number of occasions together with decisions on conceptual design proposals. With these actions the government has predetermined the EIA and the AA for Natura 2000 compatibility, which is a violation of European directives and their requirement for equal consideration of all alternatives.Moreover, during a roundtable organised by the Road Infrastructure Agency (RIA) and the Chamber of Builders in Bulgaria on 27 September 2016, an agreement was reached between the government and the builders of the highway for the final selection of the alternative semi-Eastern G10.5. This agreement, reached before a decision on an approved route and a without a tender, is a violation of European law – a drastic case of conflict of interest and breach of the competition rules of the European Union. As a consequence of the above, the EIA and AA Reports are prepared by consultants with a long string of contracts with the Road Infrastructure Agency and are most likely biased towards the semi-Eastern G10.5 alternative. For example, the full Eastern alternative G20 with all the necessary mitigation measures to reduce impacts is rejected in the assessments.The reports go to the extreme of failing to evaluate, or even consider key alternatives to the project – a necessity under European law. One such alternative includes routing the motorway and a high-speed train through a series of tunnels and viaducts to the east of the gorge. It was presented to the government as early as April 2017 and completely excluded from the reports. RIA foresees the expansion and straightening of the current road through the Kresna Gorge – this expansion is an absolutely necessary part of the semi Eastern G10.5 alternative. This was also stated by the heads of the RIA and by the Minister of Regional Development and Public Works Nikolay Nankov publicly and repeatedly. Yet, this information is nowhere to be seen in the EIA and AA reports. This is an apparent attempt to disguise unacceptable destruction and other negative impacts that will destroy the Kresna gorge’s ecosystem and its biodiversity supporting functions, rendering it unprotected. In addition, the RIA promised publicly the construction of traffic service and commercial sites that are not part of the project. Although the location of these sites is within a Natura 2000 site, they have not been assessed in the EIA and AA reports. Among other things, these service sites infringe on the most valuable agricultural lands and vineyards of the Keracuda variety of the local people in Kresna. The RIA completely ignored the proposals to relocate these sites outside Natura 2000 and valuable farmland. In conclusion, the Struma Motorway decision is a political project and the responsibility for it is borne by the whole Bulgarian government. 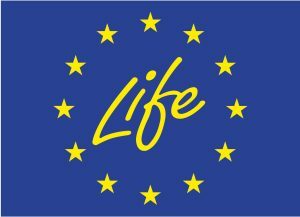 Yet also the European Commission bears responsibility due to its approval of EU Funds for the construction of the Struma Motorway in breach of its commitments to provide guardianship of European treaties and to enforce European nature protection Directives. Time is up and the position of the Commission transpiring from the 25 September meeting shows that it is not on top of developments in Bulgaria and it is not paying attention to critical input from civil society and the local community. Waiting for Minister Nenov’s EIA/AA approval, in order to look closely into the project’s compatibility with EU law, risks delay of the project’s implementation as the deadline for finishing the works and reporting EU funds spending is 2023. A delay, as well as the consequences of an infringement complaint on the project for bulldozing one of Europe’s richest sites, will cost Bulgaria’s taxpayers dearly and will raise uncomfortable questions about the effective spending of EU funds in the country. It is high time for the European Commission to heed the warnings coming from Bulgarian and European groups and to look into the detailed failures of the current assessment process. Commissioner Vella in particular needs to demonstrate a lot more concern about the spending of EU funds for the Struma Motorway and to ensure that major mistakes and environmental destruction in the EU Natura 2000 network are prevented.